Its unique modular principle means that the system can be constructed individually. You can configure your multi EA 5000 to meet your needs and requirements, thus creating your personal analysis system. Analysis of waxes, fatty acids, dyes, solvents such as hydrocarbons, alcohols, aldehydes, ketones etc. Analysis of fuels such as coal, fuel oil, natural gas, derived fuels such as wood, straw, biogas etc. Purity testing of solvents etc. 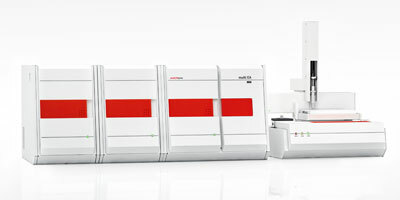 The multi EA® 5000 is the new generation of elemental analyzers. Analyzers that are setting standards! C, N, S and Cl from solid, fluid, paste-like and gaseous samples are only a small part of what it can do. Reviews have been disabled for multi EA - Model 5000 - For Micro-Elemental Analyser.